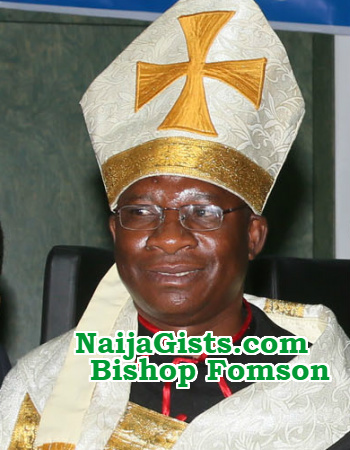 Bishop Musa Fomson, the leader of NIRO (Northern Interfaith & Religious Organisations for Peace) has released his own 2017 prediction for Nigeria. MAY HE BE CAPTURED DEAD OR ALIVE! 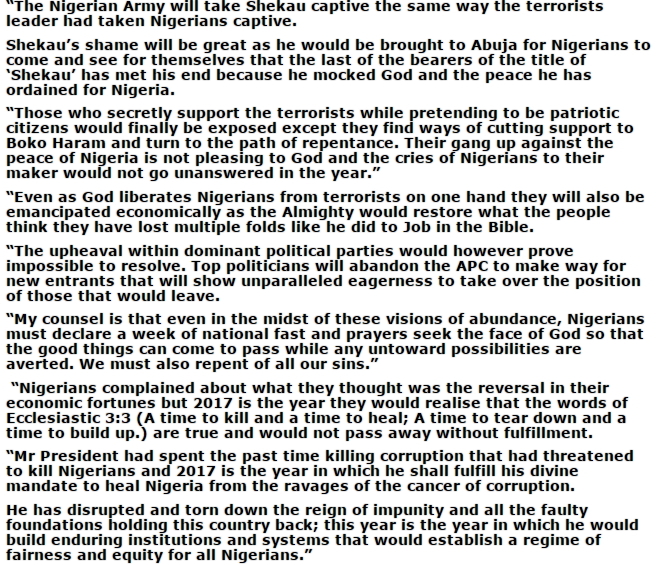 with all due respect Shekau needs to die, we do not need him alive, alive or dead. how many times una go capture that mumu..throw him into lions den in the nearest zoo.no time wasting tax payers money to transport him to abj. Often times, I have heard that he’s bn captured and killed. What’s this news about, getting him alive or dead? I say a resounding “Amen” to the prediction on economic recovery as I sorely desire that salaries be paid as at when due!